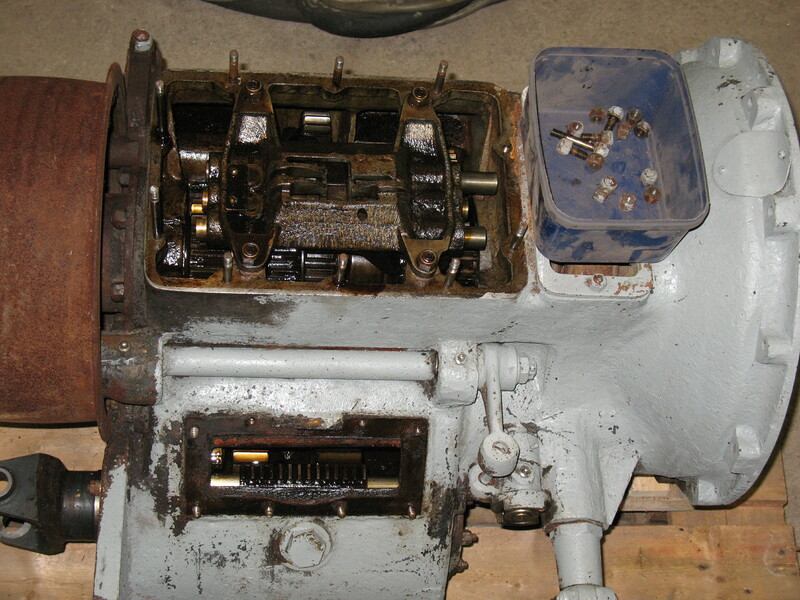 The clutch, which is integrated with the gear box, is now removed. 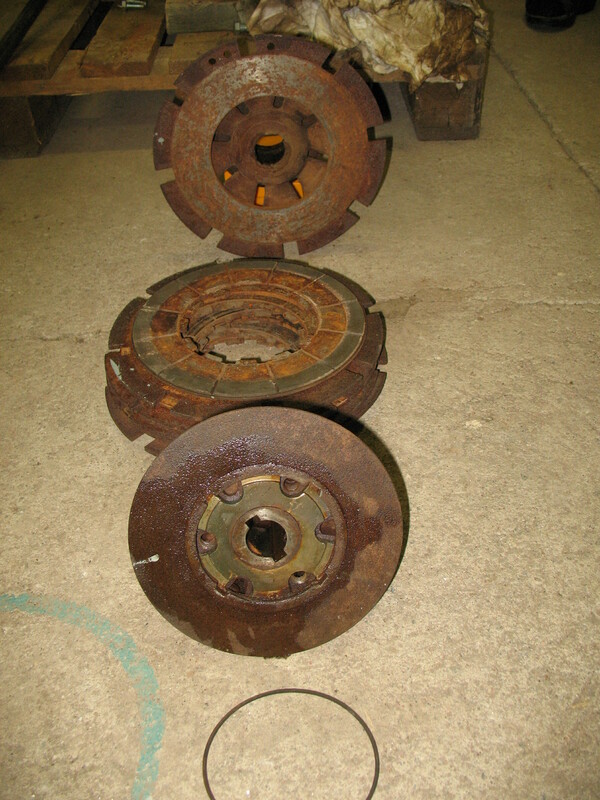 The discs are a bit rusty after standing still for 50 years but otherwise it looks good. After cleaning the clutch will be as new again. 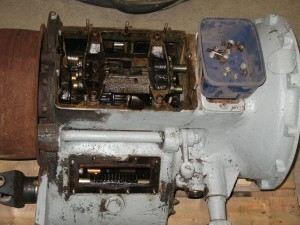 We have opened the gearbox to see in what condition it is. The oil was viscous and sticky but the teeth seems to be in good condition. 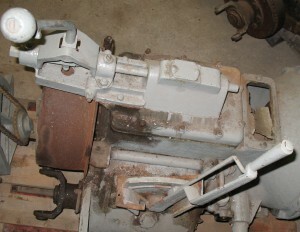 It seems like the gearbox is OK to use as it is. In contrast, both the normal gear lever and lever to the high/low gear are stuck but that is a much smaller problem than having to remodel the entire gearbox.